Choroidal Melanoma is a type of malignant intraocular tumor, meaning it occurs within the eyeball itself. The choroid is considered to be a part of the uveal tract which consists of the ciliary body and the iris. Eye cancer specialists report that choroidal melanoma is the most commonly diagnosed primary intraocular malignant melanoma occurring within the body. It is noted that the most individuals at higher risk for developing choroidal melanoma are those of Northern European descent. Interesting details about choroidal melanoma or uveal melanoma is the fact that it happens to have the highest blood flow in the body. Additionally, there are few cases of choroidal melanoma making it a very uncommon condition. In fact, statistics indicate about 6 cases per 1 million adults per year in the US are diagnosed annually. 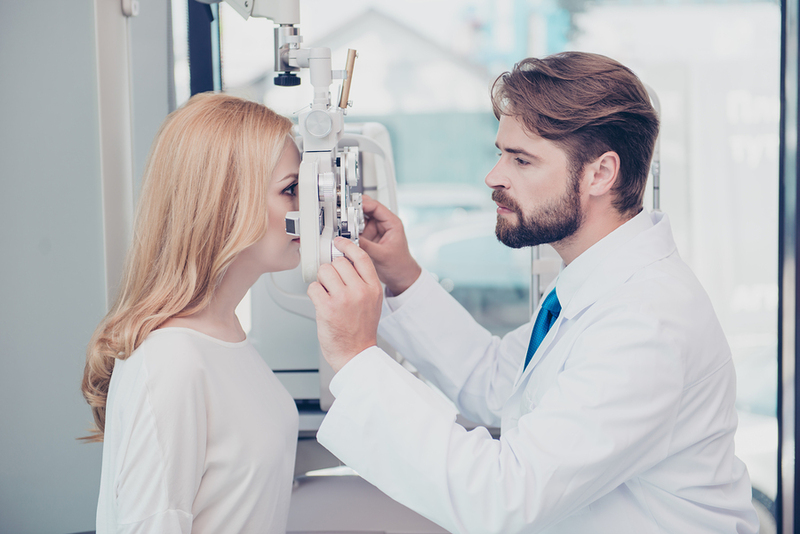 Medical experts cite that those most at risk for developing a choroidal melanoma are those with certain inherited skin conditions such as dysplastic nevus syndrome, a condition where there is an abnormal number of moles. Researchers in the science community learned that Atypical Nevi discovered in a controlled group of studied individuals seems to be a precursor in documented cases of choroidal melanoma and has been noted as a possible important risk factor. Other risk factors detail that those with light colored blue or green eyes and Caucasian individuals. Average onset age is seen between 40-70 years of age, so there is enough evidence to suggest aging adults might be more at risk. Because the causes are not known as of this writing, prevention efforts are exact. Oncologists recommend following basic healthy steps for good health such as avoiding prolonged sun exposure, maintaining a healthy diet, exercise, and of course routine eye exams. Eye cancer specialists can determine if you have choroidal melanoma by performing an eye exam. The pupils are dilated and the eye is looked at using an instrument called an ophthalmoscope. This procedure is known as an ophthalmoscopy. There may also be other tests performed that take detailed photographs of the inside and back of the eye socket. Doing this helps point out certain distinguishing characteristics of a choroidal melanoma such as pigment, thickness, and shape. In come rare cases of atypical tumors, a biopsy may be needed. Size matters when it comes to treating choroidal melanoma as it is staged and sized according to the rate of growth and progression. For most large choroidal melanomas, radiation therapy is an option, and in some instances surgical removal of the eye is what is needed. This procedure is known in the medical community as enucleation. Advanced therapy options such as plaque brachytherapy may be required in conjunction with enucleation or perhaps to prevent enucleation. Newer oncolytic viral-therapeutic treatments are being studied and recommended as part of qualifying treatment plans. In cases where the choroidal melanoma has spread into the vital organ, every effort is utilized to increase the rate of survival and recovery. One in particular is showing increased efficacy in the fight against aggressive melanoma especially used primarily after post-surgical removal of the malignant tumor. It is called adapted ECHO-7 virus immunotherapy that was developed and from a virus group called RNA viruses. Studies even concluded that it showed to be an effective long-term treatment for those diagnosed with stage 4 choroidal melanoma diagnosed.